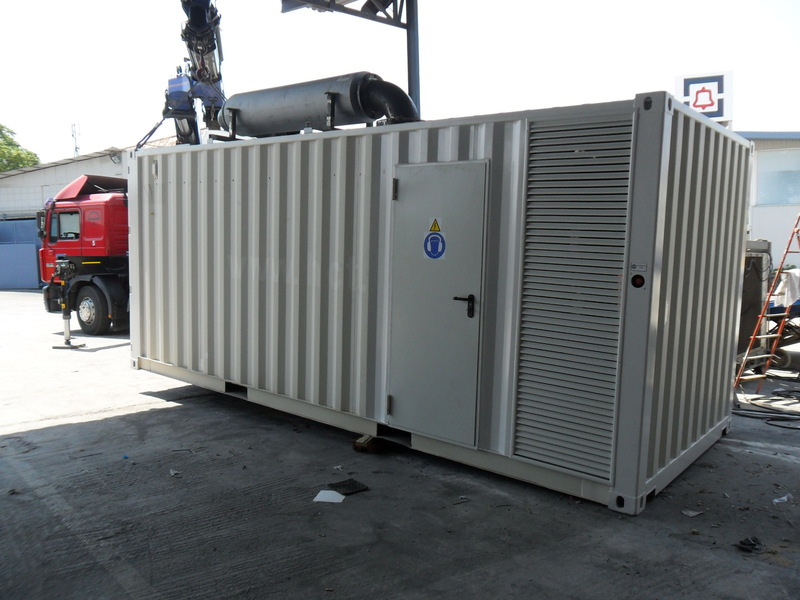 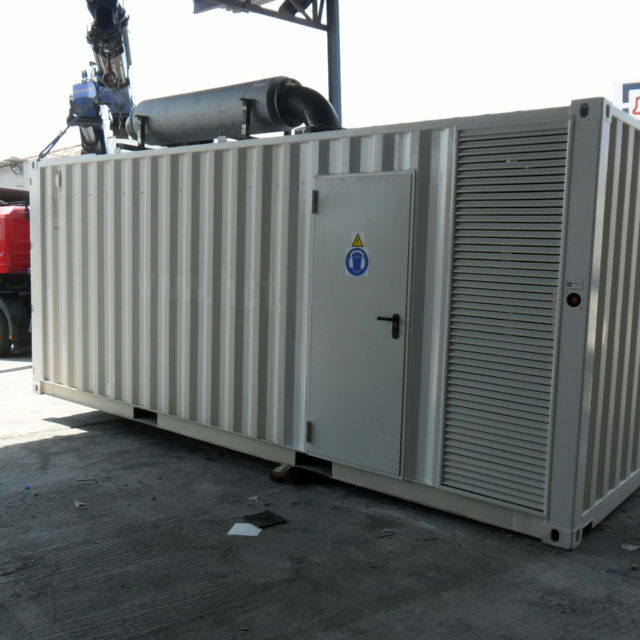 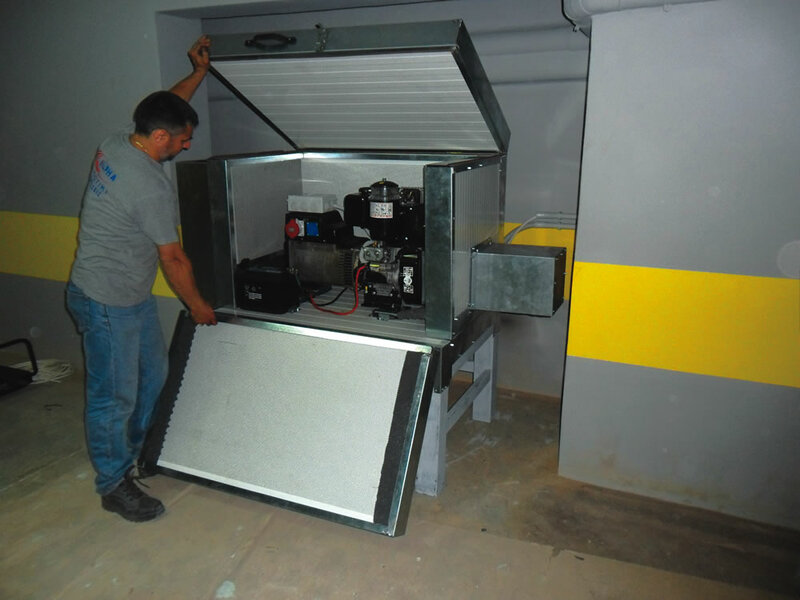 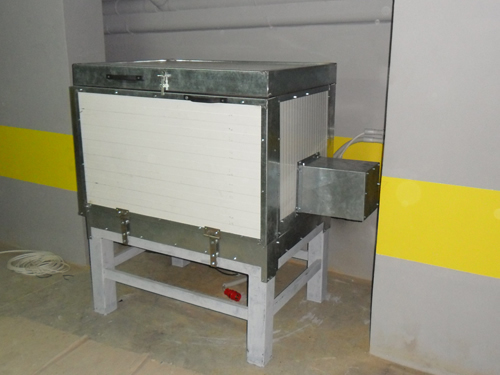 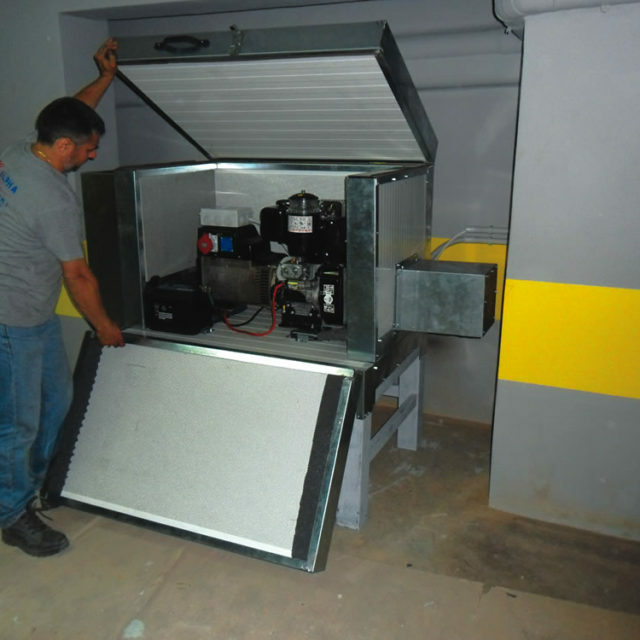 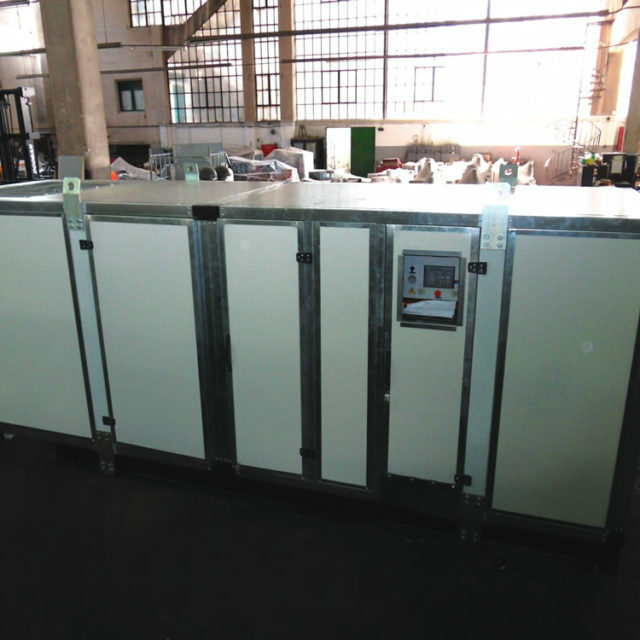 Generator sound insulation cover ALPHAfon – IC is used for noise control of the small and big sized generators to minimize the emission of noise in generation sets. 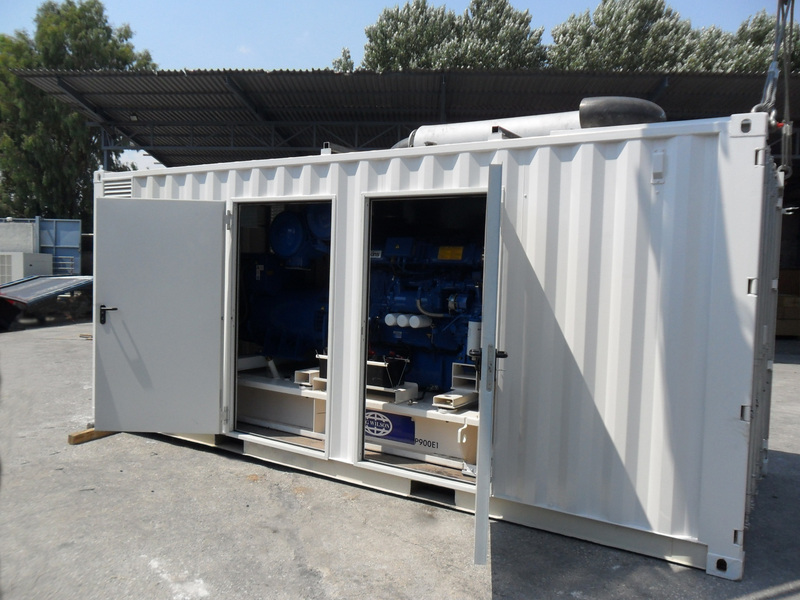 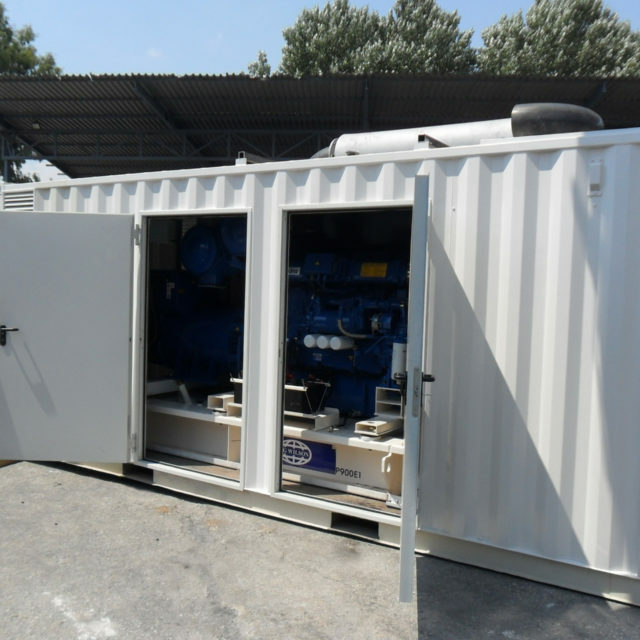 The frame of the product is made out of standardized aluminum or of a metal profile, it’s lower horizontal part can be supported either on the ground or on the metal frame of the generator. 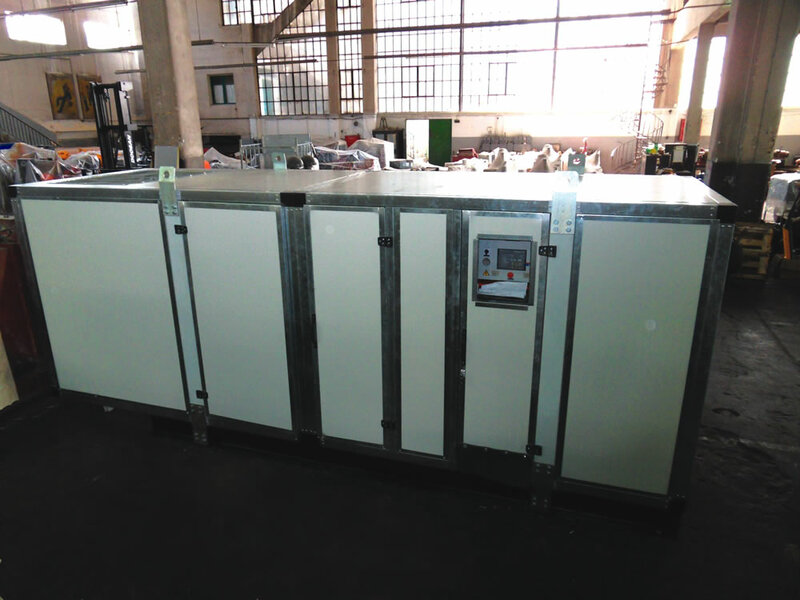 The sound insulation panels are made out of specially shaped galvanized steel foil filled with fire safe absorbing materials. 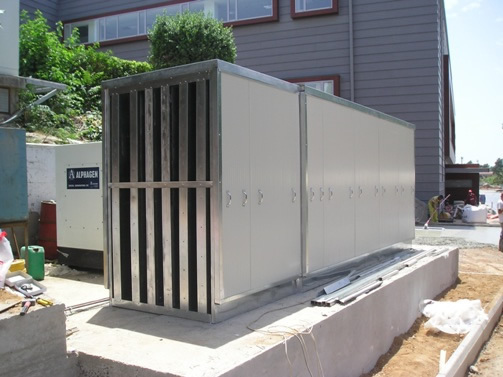 Acoustic doors can be installed in every side of the cover. 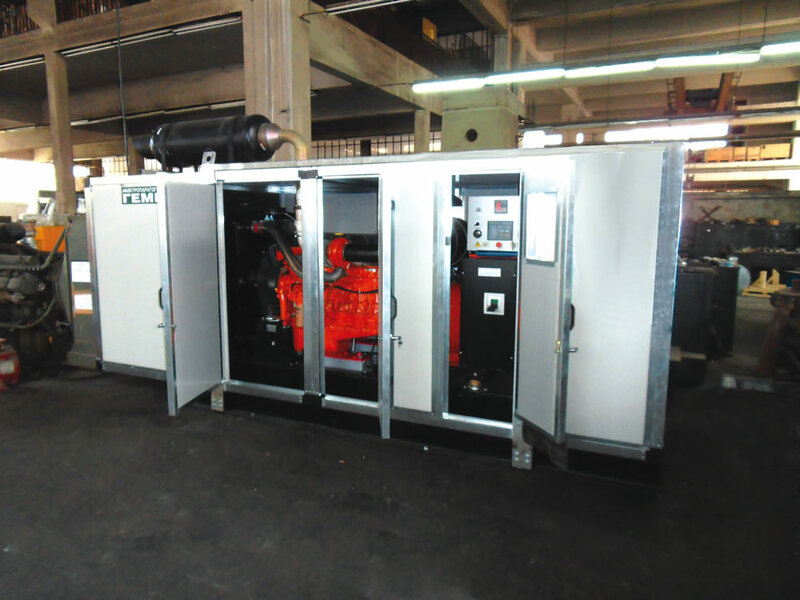 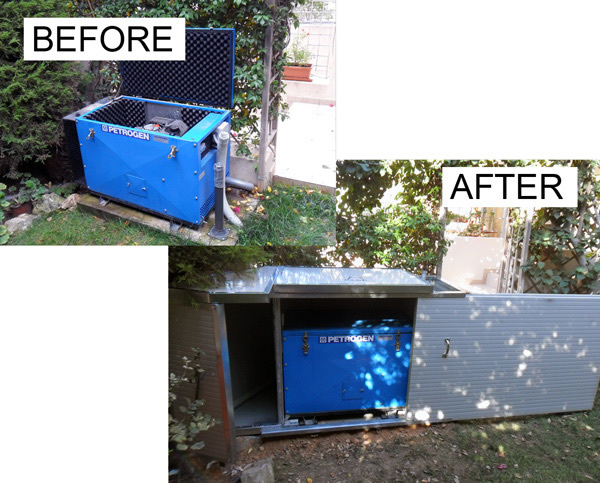 Their exact position is determined according to each specific need, so that the maintenance of the generator is best facilitated (e.g. 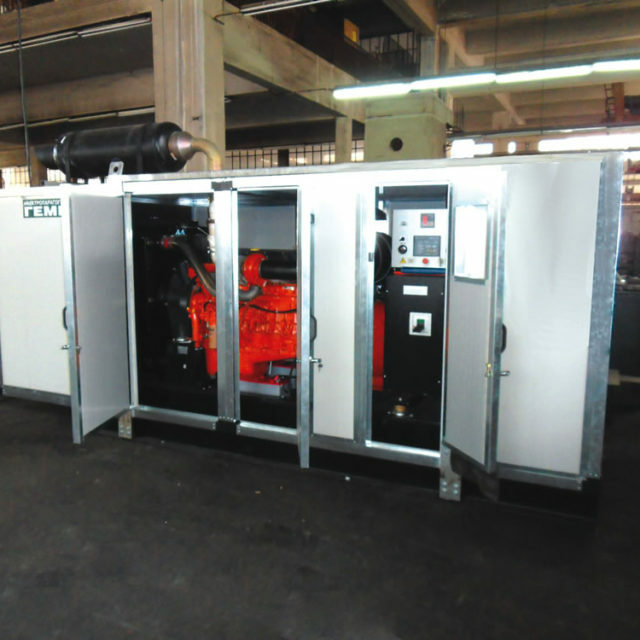 placed in front of oilfilters, oil pumps, etc.). 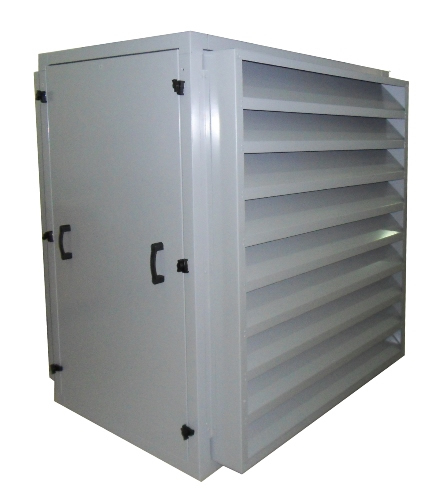 The doors are equipped with a special revolving handle and two hinges. 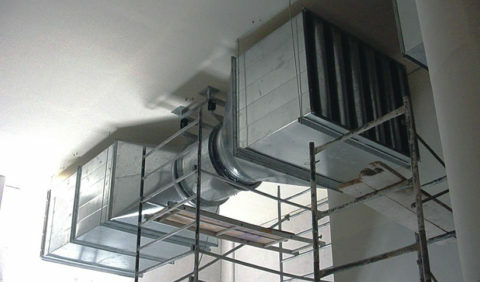 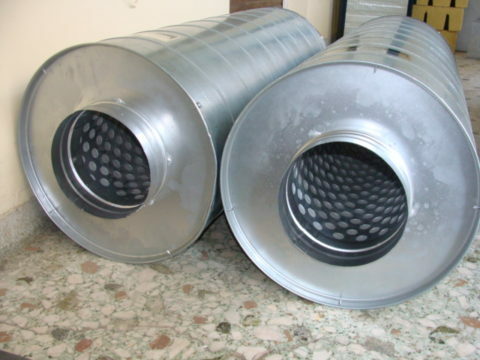 Specially designed sound traps are installed in the air intake and exhaust. 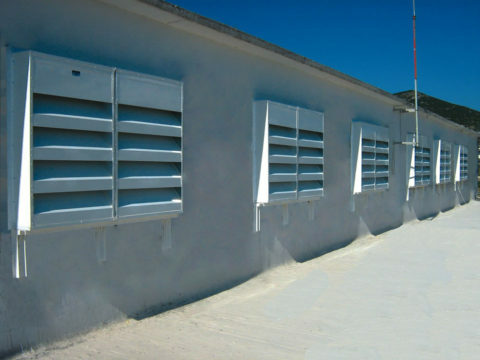 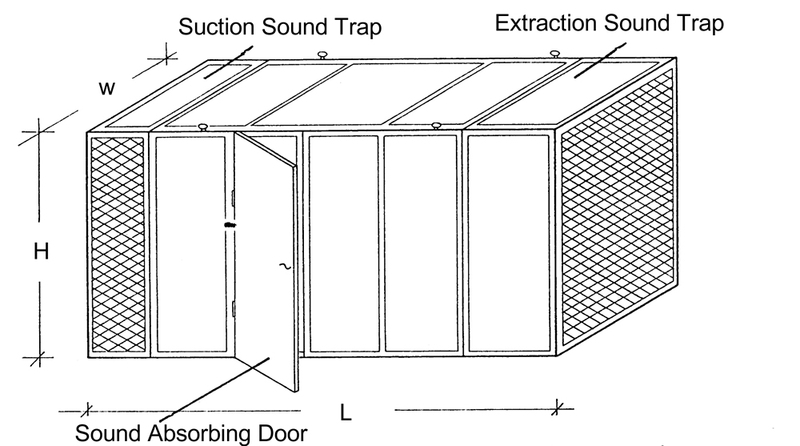 These sound traps provide a low reduction of air pressure and do not have an adverse influence in the cooling of the generator.